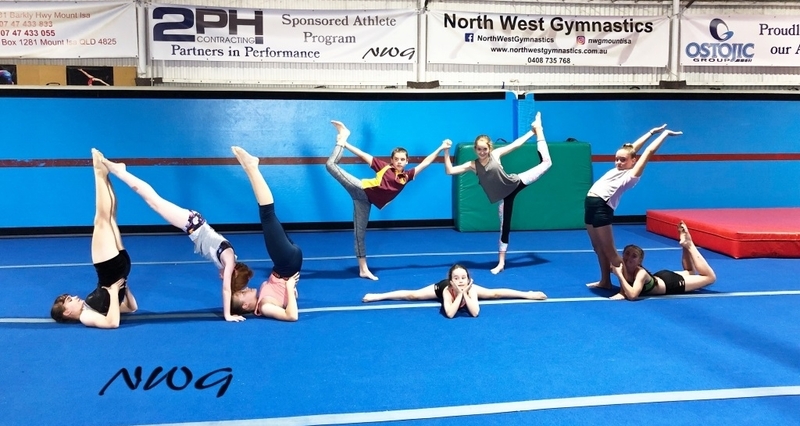 Did you know that North West Gymnastics offers a heap of fun and recreational gymnastics classes? Our recreational classes are designed for those who are only looking for 1 class a week or possibly even casual attendance options. A great way to develop skills and keep fit in a fun and safe environment. Class Enrolment is now open. Follow our guide on How to Sign up for Gymnastics Classes here. Activebods (Gym Fun): A Fun and entertaining recreational program which uses the whole gym and all equipment to develop fundamental skills, technique and fitness. Acro Foundations and Gym Skills: Ideal for gymnasts or dance students to improve their floor manoeuvres and dance specific tumbling skills. Complimentary for levels gymnastics. Incorporates other Gymnastics Apparatus including Beam and Bars. Intermediate Acro, Tumbling and Aerials: Ideal for gymnasts or dance students to improve their floor manoeuvres and dance specific tumbling skills. Complimentary for levels gymnastics. Aerials and Tumbling: A tumbling class with a twist :). Incorporates a rotation between Aerial Silks, Trampoline and Tumbling Skills. We offer this on a casual basis on a Tuesday Night. Advanced Acro and Tumbling: A fun recreational class focussed on Tumbling including Salto’s, Flicks, Partner Acrobatics and more!! Perfect for Current and X Gymnasts! Strength, Flexibility and Injury Prevention: Fundamental Core, Leg and Arm strengthening program coupled with injury prevention (prehab) exercises and flexibility. A huge boost to any Gymnastics or Dance Program. Adults Gymnastics: All Welcome. A great opportunity to develop flexibility, build strength in a fun and relaxed environment. We can target programs to suit you ranging from conditioning through to advanced skills and aerial awareness.